Isn’t it kind of a “well, duh?” that parenting affects child development? But do we know how? We know it’s not good to have really big fights in front of the kids, but do spousal quarrels screw them up too? Are there really links between a family’s emotional expressiveness and the child’s later academic performance? How does the marital relationship affect parenting, and how does parenting affect the marital relationship? Today we talk with Dr. Laura Froyen, who has a Ph.D in Human Development and Family Studies and seems almost as obsessed with research on child development issues as I am. You can find much more about her work at www.laurafroyen.com. Bascoe, S.M., Davies, P.T., Sturge-Apple, M.L., & Cummings, E.M. (2009). Children’s representations of family relationships, peer information processing, and school adjustment. Developmental Psychology 45(6), 1740-1751. Belsky, J. (1984). The determinants of parenting: A process model. Child Development 55(1), 83-96. Bretherton, I., & Munholland, K. A. (1999). Internal working models in attachment relationships: A construct revisited. In J. Cassidy & P. R. Shaver (Eds. ), Handbook of attachment: Theory, research, and clinical applications (pp. 89-111). New York: Guilford Press. Buehler, C., & Gerard, J.M. (2002). Marital conflict, ineffective parenting, and children’s and adolescents’ maladjustment. Journal of Marriage and Family 64(1), 78-92. Davies, P.T., Winter, M.A., & Cicchetti, D. (2006). The implications of emotional security theory for understanding and treating childhood psychopathology. Developmental Psychopathology 18(3), 707-735. Erel, O., & Burman, B. (1995). Interrelatedness of marital relations and parent-child relations: A meta-analytic review. Psychological Bulletin: 118(1), 108-132. Froyen, L.C., Skibbe, L.E., Bowles, R.P., Blow, A.J., & Gerde, H.K. (2013). Marital satisfaction, family emotional expressiveness, home learning environments, and children’s emergent literacy. Journal of Marriage and Family 75, 42-55. Gottman, J., & Gottman, J.S. (2008). And baby makes three: The six-step plan for preserving marital intimacy and rekindling romance after baby arrives. New York, NY: Harmony. Grych, J.H., & Fincham, F.D. (1993). Children’s appraisals of marital conflict: Initial investigations of the cognitive-contextual framework. Child Development 64(1), 215-230. Hindman, A.H., Miller, A.L., Froyen, L.C., & Skibbe, L.E. (2012). A portrait of family involvement during Head Start: Nature, extent, and predictors. Early Childhood Research Quarterly 27, 654-667. Lapierre, S. (2008). Mothering in the context of domestic violence: The pervasiveness of a deficit model of mothering. Child & Family Social Work 13, 454-463. Sturge-Apple, M.L., , Davies, P.T., & Cummings, E.M. (2006). Hostility and withdrawal in marital conflict: Effects on parental emotional unavailability and inconsistent discipline. Journal of Family Psychology 20(2), 227-238. Jen: 00:38 Hello and welcome to the your Parenting Mojo podcast. Our guest today is Laura Froyen, who received her Ph.D In Human Development and Family Studies with an emphasis in Couple and Family Therapy from Michigan State University, where her research focused on how marital and family relationships influence parenting and child development. She continued this research as an Assistant Professor of Human Development and Family Studies at the University of Madison, Wisconsin, and while she loved her work as a new professor, she found that she missed working directly with families which had been doing while she was working on her Ph.D. When she was pregnant with her second daughter, Laura had a life-changing car accident, which luckily both she and her daughter came out in one piece, but the experience caused her to reevaluate what she wanted to get out of life and she realized that she really missed working with families. She now offers parent coaching as well as parent support groups in classes. Laura’s academic work focused on the intersection of parenting practices and child development outcomes and she’s here to chat with us about that today. Welcome Laura. Dr. Froyen: 01:36 Hi Jen. Thanks so much for having me. Jen: 01:38 So it does seem somewhat logical to me that a family’s emotional expressiveness might have connections to a child’s emotional development, but I’m wondering if you can kind of walk us through what are some of the linkages here and how is that emotional development linked with later academic performance? Dr. Froyen: 01:55 Right, sure. So the family is seen as one of the primary ways that children learn about emotions and their expression and resultant behaviors. And as I’m sure you probably talked a lot about, modeling is considered one of the most powerful ways that children and humans in general learn, and emotions are no different. So when we talk about emotional expressiveness, we’re talking about the overall style of kind of the emotional state of the family and how they express emotion verbally and nonverbally and children are very much influenced by how their families are doing with the expressive expression of negative and positive emotions. So families can be high or low in both positive and negative expressiveness. So some families are high, some are low in both and some are high in one and high and the other families, but higher positive expressiveness tend to have children that display more prosocial behavior and families with higher negative expressiveness tend to have children that display more aggressive behavior. Dr. Froyen: 02:54 And the working theory on this is that family emotional context influences children’s self-regulation skills, likely through parenting. And then that self regulation in turn drives their actual behaviors. And self regulation is also a key skill when it comes to learning. And so if we think about some of the skills that children need to do well in school – being able to sit still and pay attention, being able to minimize distractions, raise their hand… Those types of skills are all self regulatory skills and um, those self regulatory skills give children greater access to learning so they make them better able to learn in those learning environments. Jen: 03:33 And so I’m just trying to think about what constitutes a very positive and a very negative environment. I assume a lot of yelling and screaming is very negative, but what is a very positive environment look like and what does a neutral kind of environment look like? Dr. Froyen: 03:49 Yeah. So we don’t talk a lot about necessarily neutrals. 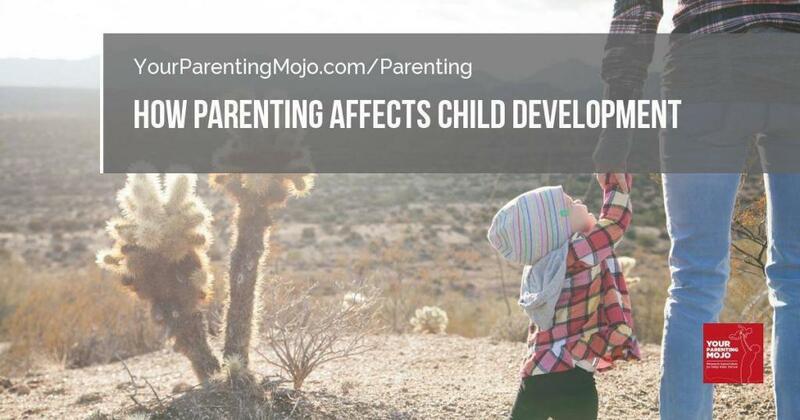 The research on many topics in child development are done at the extremes and so highly negative things like screaming and yelling and criticism. Criticism is an incredibly toxic thing in almost all family relationships; marriages, parent relationships. So things like belittling those things are very negative for families in general. But then the positive pieces of it is warmth, expressing love for one another, acts of love or demonstrative acts of love. So given how the sun or if you’re not necessarily affectionate, telling each other how you appreciate each other, those types of things. Jen: 04:35 Okay. And so when I was preparing for this episode, I was reading a lot about how conflict is not very good for children’s development, but I am trying to sort of get my arms around what kind of conflict is really bad conflict and I’m just thinking about, you know, my husband’s not listening to me again and I’m kind of irritated with him. Does that count as conflict or does it have to be like yelling and screaming? Dr. Froyen: 05:03 Oh gosh, I think that this is such an important question. I think that many parents have this idea that kids should never see them fighting. Right? And so what research actually shows us that this isn’t the case 100 percent of the time. So kids are incredibly tuned into the emotional environment of their homes, particularly their parents’ relationship because they derive a lot of security from that relationship. So kids have a lot invested in that relationship going well because that’s where they get their security and stability from. So even when parents attempt to hide their disagreements, kids almost always know that they’re happening. Jen: 05:39 I’m just thinking back to a memory from childhood, we used to have a long driveway at our house and my dad would reverse out of it every morning past the kitchen window and my mom would wave to him and I do remember on at least one occasion even though they would always hide conflicts from us, I have no memory of them of having a conflict ever in front of us or even within auditory range. I have memories of my mother drawing the blind in the kitchen window in the morning. Dr. Froyen: 06:11 Right? Non-verbal hostility! Jen: 06:11 Yes, it was there even though I didn’t hear it. Dr. Froyen: 06:15 What’s really interesting is that even verbal infants display behavioral changes when there is tension between parents after a conflict, what kind of changes, like more subdued affect or they might cry more depending on that child’s coping strategy. So there’s a whole set of… You of course are familiar with attachment theory and I’m guessing a lot of your listeners are, um, but there’s a whole kind of sister theory called emotional security theory that really views the couple relationship as a kind of a separate attachment figure. If we’re talking about it… And this is just kind of coming up now, but emotional security theory is really helpful in thinking about why kids intervene in parents conflicts and so attachment theory is based on…the way we measure it is by observing behaviors, right? So we measure a child’s law like security of attachment by putting them in a stressful situation and watching what they do and there are similar behaviors that children engage in. Their parents are arguing or disagreeing that signal kind of their feelings of security around that couple relationship. So kids who are feeling less secure or are kind of nervous when fighting starts to happen, we’ll do things like problem solved, the conflict for the parents or create a big distraction to distract the parents from the conflict. And so we see some of those behaviors in infants and they get more sophisticated as kids get older. Dr. Froyen: 07:56 Yeah. So it totally depends on the tactics that you’re using rather than the disagreement itself. So in the literature when they talk a lot about negative conflict tactics like belittling and criticism and yelling and then positive conflict tactics like problem solving, validating, showing empathy, those types of things. And so if you’re able to manage your irritation with your partner, I actually have an example. Dr. Froyen: 08:26 So recently my husband stopped at the grocery store on the way home from work and, but he forgot an ingredient that I really needed for a recipe for a thing that was happening the next day and there was no replacement. That was nothing I could substitute. Right. And so when he got home and he didn’t have it, I was justifiably frustrated even though this is a common mistake that everybody makes us sometimes. But I was frustrated and in that moment I expressed the frustration to him and he was able to validate my feelings while offering to run back to the store after the kids were in bed. So he offered a solution, and in that moment I was able to take a deep breath and you know, validate that yes, we’ve all forgotten things. I’m and thank him for going to get it and then I was able to let it go. Dr. Froyen: 09:09 I’m not always able to let it go and if I know going in that I’m not going to be able to let it go. I will say let’s talk about it later and then we’ll talk about it later because I know that at that point in time my conflict tactics might not be quite so positive, but if I know I’m going to be able to handle it well, I absolutely want to offer that as a learning opportunity for my kids so that they can see, see me expressing my feelings and having those feelings be validated by my partner. I think that that’s really important. And then see us work together to come up with solutions and then to see me being gracious and forgiving. I think that those are all wonderful opportunities to model for kids. Jen: 09:49 It sounds lovely. Dr. Froyen: 09:50 It can’t go that way every time. Right? Yeah, and so I mean I think that if you can be present enough to know when it’s not going to go well, making an effort to say, you know, I think we need to talk about this later. You know, let’s schedule a date to talk about it. That’s a great way to model to your kids as well. Being able to regulate yourself, not have to engage in the conflict in the moment and take time to cool off. Jen: 10:19 Yeah, I was just thinking about an example and I wasn’t planning on sharing this but it just popped into my mind that my husband and I had a conflict. This was a few months ago now about…it was so stupid. It was about a package that he needed to mail to somebody and I was trying to make life easier for him by researching what are the flat rate shipping options and was asking him questions about it and he was not answering them in the way that I needed and I just found it so irritating and then he got irritated at me for asking questions that he thought were irrelevant. And once you get into that cycle, how do you get out of it again? That’s the part I struggle with. Dr. Froyen: 10:58 Yes. So this is where mindfulness practices is super helpful. Yeah. Because a regular mindfulness practice is proven to change the structure of your brain and to get into these, like they call them neuronal groups, right? So we have these groups, these patterns that we have kind of worn in our brain where we start responding in very stereotypical ways, ways that are just very much guided by how we responded in the past, you know. And so mindfulness as an active practice helps you break some of those, those grooves helps you kind of, you know, if we picture a person like hazing in a study, you know, and there’s a comic, you know, someone’s pacing in a study and they’ve worn a, like a circle track around the desk in the study. Right? And so what mindfulness does is help you, vary your path a little bit so that you don’t get sucked down into those grooves as much. Jen: 11:51 And so you just sort of threw out a big topic there: mindfulness practice. Could you perhaps give us a little definition on what you mean by that? Dr. Froyen: 12:00 Yeah, so I wasn’t expecting to talk about. Jen: 12:05 A short definition would suffice. Dr. Froyen: 12:07 Right? So a mindfulness practices, is any point in time when you’re engaging and being fully present in the experience that you’re having a moment to moment. Many times when we talk about mindfulness, we’re talking about meditation. I think that meditation can be a little bit of a scary word to people who are like, oh no, I could never sit still and not think about something. You know, I, I just am not good at that. But really what mindfulness is the practice of letting go of that judgment and saying, yes, you’re right, you can never not think of things. And so these spots are going to come and I’m going to practice redirecting my attention. And then at the core of it, it’s a practice and self regulation and selective attention. And so this is what I’m going to give my focus too. I’m going to focus on my breathing rather than these thoughts that are running through my head. Does that make sense? Jen: 12:57 Yeah, yeah, yeah, it does. I have tried it a little bit. I have trouble sleeping sometimes and often try and imagine when I’m trying to think of anything. I’ll add the thought comes into my mind. I imagine it as a balloon and I’m holding the string and I let the string go and that helps me in that instance. I don’t know where I came up with that, but I. it’s something I think that is easier for me when I’m calm and much more difficult in that moment and I guess maybe a tool I’ve read that could be somewhat useful is the. I think some people have a nice name for it, like the sanity pause or something like that. Just it. Try to not react for a second and just think, stop. Is, is this worth it? Is this what I want to be focused on right now? Or can we put this conversation off? Where does my husband need to go to the post office and we do have to sort of figure this out, but can we just take it down a notch so that sanity pause it I think is a tool that I have heard of and have tried to put to use, but I’m not always as successful as I might like. Dr. Froyen: 14:02 Well, I think that we can’t always be successful and so I think that there are times when we do have a big conflict or blow up that happens in front of our children and there’s research on that too, that there is a way to kind of mitigate the negative effects of that kind of less than the negative effects and that really comes from a place of acknowledging and explaining and possibly even apologizing to the children that this happened. So being able to say, wow, that was a little scary. No one likes to see their parents get angry with each other. I want to make sure that, you know, no matter how mad I get, I always love your daddy or your mommy, whichever, and I always love you and then be able to kind of offer some reassurement that we all have disagreements; sometimes it’s part of life, but that next time we’ll try to talk in a more loving way when we. Okay, oh, and then offer the opportunity to ask questions in this can happen during like big fights, you know, and where maybe things got way out of hand. Both of you were very dysregulated, the kind of fights where you are, you’re very much in fight or flight mode, and you’re maybe seeing red a little bit. Those, those types of fights for a smaller one, often times kids don’t even need to see your resolution. They are, again, they’re so tuned into your relationship that they know when you’ve resolved things because I know from the casual touches or the glances or the tone of voice, they know that things are resolved and they don’t always need to know exactly how it was resolved. Jen: 15:34 Okay. That’s comforting. We don’t have too many of those blow outs over here. Dr. Froyen: 15:40 But some families do. Jen: 15:41 Yeah, they do. And that’s just the personality of the individuals in the relationship and yeah. So it’s good to know that that is repairable. From the child’s perspective. And is there a difference when the fight is about the child or about how the child is raised? If a child hears a fight about that, what’s going on in their mind and how does it affect them? Dr. Froyen: 16:04 Yeah. So kids, especially girls, have a tendency to blame themselves for their parents conflict. So if a conflict is about the child, and even no matter how small it is, even if it’s one where you guys are just disagreeing on whether or not a kid can go to a sleepover or if they’re ready to swim without water wings, you know, it’s something small. It still is a place where you, if you can try to say, hmm, you know, I just don’t think that we’ve ever decided on this. So Dad and I or mom and I need to sit down and talk about it and we’ll let you know what we decide. Or if it’s a situation where you have older kids and you’re ready to involve them in that specific decision, then you can sit down together and do a family problem solving session. But if the conflict is around something, like in one of my parenting groups recently apparent was talking about how her partner had taken her son to do something special that they had previously talked about that the mother was going to do with the son. And so the mother was very hurt by this. And so that’s a situation where you would have those conversations and kind of get that resolution privately and not in front of the child because the child very easily could take the blame on themselves, when they’re blameless. Jen: 17:20 But sometimes I can imagine that like if the husband came home and said, oh, we just went and did this special thing and the mother I could imagine would be, when would have a reaction in that moment. So if that kind of thing does occur in front of the child, is that… And you can’t say for some reason, you cannot bring it upon yourself to say let’s discuss this later when we’re calm, what happens there? And how do you bring that to resolution? Dr. Froyen: 17:45 Yeah. So I mean if. And sometimes we can’t, you know, we’re not perfect, we can’t always take it into the other room or wait until the kids are in bed, right? We can’t sometimes. And that again, that’s another time we were honest with, with our kids about our emotions. We say that I was really upset and I don’t think I handled it very well, and I want you to know that this was not your fault. This was something that daddy and I should have talked about before and we didn’t. And this wasn’t Daddy’s fault. It wasn’t my fault. It just happened, you know, and it certainly wasn’t your fault and you all love each other and no matter how mad we were. That reassurance that the love is always there, regardless of whether the voices are angry is an important thing for kids. Jen: 18:27 And as you’re saying that, I’m imagining if I’m the parent explaining that to the child, that that expression of love probably helps to calm me down a bit as well and remind me of the importance of those things. Dr. Froyen: 18:39 And, and to feel secure in that. Like just because my Dad did this special thing with me, my mom doesn’t hate me or hate my Dad. Because they kids do they think in extremes, right. And sometimes when they are experiencing an emotion, most of the time they’re experiencing it the strongest they’ve ever experienced that before because their lives are so short and I think that’s so important to keep in mind. So sometimes when they’re scared or sad and they feel it so intensely, we as adults are like, wow, that’s very intense experience with that emotion right now. We have to remember that it probably is the biggest version of that emotion they’ve ever felt know. Jen: 19:17 They can’t say, well, this isn’t as bad as….whatever, because they can have that experience to look back on. Dr. Froyen: 19:22 Yeah, yeah, exactly. Okay, so I want to get back to something you said a little while ago about emotional security training and I’ve been thinking about how the marital relationship affects parenting in a way, as you were explaining that. It almost made me think is though the marital relationship is kind of how we train our children to think about relationships and how to interact with other people that you’re close to. And of course the flip side of that is how does parenting affect the marital relationship? Because I think those impacts can be pretty profound. Can you talk about that a little bit? Dr. Froyen: 19:55 Yeah. Oh Gosh. So you touched a little bit on how we teach kids about relationships and kind of their place in the world. And we could spend a whole episode talking about internal working models, which is a little bit of what that is. But yes, parts of the children’s internal working models of relationships are built within the home that they are growing up in. And so this is a big question. I feel like we could also spend a lot of time talking about it. I obviously love talking about these things, but. So the major theories on kind of the relationship between a couple relationship parenting is that this relationship is bi-directional, meaning that the couple relationship influences parenting and parenting influences the couple relationship. So we’re here, we’re talking about two family systems that are very interrelated. For example, one of the classic statistics is that marital satisfaction reaches an all-time low in the first year or two after a baby is born, right? Jen: 20:49 I wonder why?! Dr. Froyen: 20:53 Sleep deprivation, major identity shifts for both parents, postpartum depression for both parents sometimes, like it’s a rough time in life, right? And so then there’s, there’s a few different theories on how this all works. And so the most common is that when parenting is hard, that stress can spill over into the marriage or when things are hard in the marriage, that stress or negativity can spill over into how we interact with our children. On the other hand, there’s what is called a compensatory model. I mean this happens in some families, so some families compensate for poor marital functioning by throwing themselves into parenting. And then that can actually act as a buffer for kids. But at some points it can also be result in parent-child relationships that are a bit problematic in that they’re kind of too close or become…The word we use is enmeshed. Dr. Froyen: 21:44 So that’s the kind of the word for being too close. And how do you know when a relationship is to close it? This is the only. It feels icky. I know it’s such a technical term, but if you’ve ever been in a relationship that’s too close or too kind of dependent, you will know it. Especially if you were the child, know if that feeling. Jen: 22:08 OK, so if you’re the child then you might know; if you’re the parent and you’re initiating that then you might not know, right? You might not know and so, but for a parent, if you are feeling like you’re at a place where with your child where their responses to you are challenging kind of your, your core sense of well-being. So they are rejecting towards us as kind of destroying you or if you’re kind of so invested that the only thing you think about or care about is your child. I think it can be easy to slip into those places, but oftentimes those can be warning signs that there’s other things going on that a parent is kind of escaping into their parent-child relationship. Dr. Froyen: 22:48 So I don’t know. We got a little off topic there and then I guess another way that parents can handle parenting stress is using their couple relationship as a source of support and this is one of the healthiest ways that these two systems can interact. So when things get and how do you do that? Oftentimes it takes counseling but just because it’s not always are. I mean, so some, some parents and in couples do this naturally and so there’s John Gottman’s research on this. Um, his book is really great for parents: Bringing Home Baby; it’s a really great book on this topic. And so there are some parents that do this well; do this naturally. They experienced the stressors of being parents of kind of shifting into the these new identities and they fall into each other kind of as a couple and bolster each other up and they become stronger as they navigate these stressors. And then other parents don’t navigate it so well. And so you can, you can learn to engage in some of these more positive characteristics and I think that we could talk for two sessions probably on that one topic. But the book Bringing Baby Home is a really easy to read research-based book for parents who are looking to improve their relationship after they’ve brought a child into the home. Jen: 24:11 Okay, great. We’ll make sure to put that in the references along with all the other things that you’re mentioning as well. And so is it right then to say that the parents are kind of the role model that children will use to think about what it means to be in a relationship? Jen: 25:28 There’s no escape! Dr. Froyen: 25:33 There is no escape, right, but we totally get into this place of where I’m very comfortable with conflicts; my parents were very open with their emotions, both positive and negative. If something wasn’t going right, they let us know or they let each other know for the most part. Even if I didn’t see it, you know, I always knew that things were kind of on the level with them and that was my expectation going into marriage and it’s been a challenge at times when I was pregnant with my first daughter, we kind of proactively went to couple’s therapy because knowing what I knew, knew that things were going to get more stressful and I didn’t want to have to be kind of chasing someone all over the house trying to have a fight. Jen: 26:16 You want them to come to you and have the fight! Dr. Froyen: 26:19 Right; I wanted us to be able to sit down and not be afraid of the disagreement, you know, to know that this disagreement doesn’t have to mean we’re upset with each other. It doesn’t have to mean that we don’t love each other, that this disagreement is going to bring us closer once we resolve it. Yeah. Anyway. Jen: 26:33 Alright. Yeah. Well thank you for that. And enough talking about fighting for a little bit because one thing I want to dig into a little bit is your research that you did for your Ph.D Because I found it absolutely fascinating. You looked at the relationship between marital functioning and family emotional expressiveness and how that connected to early literacy skills and I think yours was the first to look specifically at that topic. Is that right? Dr. Froyen: 26:58 Yes. Yeah, so it’s interesting. So in my Ph.D Program I had an opportunity to start working with an early literacy researcher and it wasn’t necessarily an outcome that I was expecting to be interested in, but I was. And as I dug into this, the research, I realized that there was hardly any information on how like family process factors like marital functioning or parent depression, influence children’s early literacy skills, and no research on kind of how that influence happens. And so I had this great opportunity to be able to pick the measures that I wanted to put into this dataset. So they were in a place where they were just starting data collection with hundreds of preschool aged children, and so I put in these kind of marriage and family functioning variables, but the idea of hoping to kind of get a fuller picture of how the family influences children’s early literacy development. Does that make sense? Jen: 27:58 Yep. And so what did you find? Dr. Froyen: 28:01 Yeah, so it turns out that marital functioning indirectly influences children’s early literacy skills through its effect on the family emotional environment and the home learning environment. And so in general, parents who report better marital relationships have families that tend to display more positive and fewer negative emotions, which is related to an increase in home learning activity is for positive… Or I guess an increase in home lending activities and home learning activities are things like shared book reading, playing number games, singing songs like this old man, you know, that has numbers in it, teaching the names of letters and the sounds of letters, those types of things. And so when parents are happier in their marriages and their marriages were going well, they tend to engage in more positive emotions and fewer negative emotions and that kind of emotional environments is related to home learning activities. And those home learning activities are predictive of better early literacy skills for children in this age range, age three to five. Jen: 29:01 And were you surprised by that or not? Dr. Froyen: 29:05 As a marriage and family therapist? I was not. My child development professors who I was working with at the time, definitely where; my advisors were, were definitely surprised by those results, but I, from a theoretical perspective, it made complete sense to me. Jen: 29:23 Okay. And was it a really strong effect? Dr. Froyen: 29:25 No. So it’s a small but significant effect and that’s completely what I would expect in something that’s so distantly related. So when we think about effect sizes, we would always see that things that are most closely related to the outcome we’re measuring to have a stronger effect. So like age, like development, always has a stronger effect on things like early literacy skills. Jen: 29:48 And teaching sounds of letters and that kind of thing as well? Direct? Dr. Froyen: 29:53 Direct. Yes. Versus something, you know. So if we were to have a visual of my model, there’s three steps between marital satisfaction and the child outcome and so at each step further, you know, as you get further out to the effect necessarily has to be a little bit smaller but still significant. So the goal for this study wasn’t necessarily to explain all of children’s early literacy skills, but to explain the pieces of it that the family accounted for. Jen: 30:23 Yep. Makes Sense. And when you say significant human statistically significant, right? Dr. Froyen: 30:27 Yes, statistically significant. Jen: 30:28 Right. Okay. Okay. Dr. Froyen: 30:30 And so that, that’s kind of a measure of is is something really having an effect on something or not? If you say it’s statistically significant human that even though the effect size is small, that yes it is having an effect on literacy rates. Jen: 30:42 Yes. Okay. And so how does it compare with other factors like socioeconomic status that I think is sort of bandied around as being one of the very important indirect factors that affect literacy. Dr. Froyen: 30:53 I, you know, it’s hard to compare; statistically you can’t compare effect sizes in that way. So it’s not necessarily a meaningful comparison. So in my specific studies we did look at how socioeconomic status kind of fit in these models and the. So the statistics that we’re using, we’re using a modeling program where you put in different lines of code to see which, which ones are predicting the outcome. And so when the line containing socio economic status was in the model, it didn’t change the outcome at all. So in my specific study, including socioeconomic status as a factor didn’t change the outcome of the effect of the marital relationship and family expressiveness. So I don’t know if that helps with that question a little bit more, because, across studies you, you can’t really pull out effect sizes from… Yeah. Anyway, I don’t want to get too technical or your eyes are going to glaze over. Jen: 31:54 So one thing that I do want to talk a little bit more about because I know that you really love the methodology of this stuff and often on the show we talk about the results of a study and it’s not so often that we get somebody who’s willing to kind of dig into how the thing worked. And, and when you read these studies, sometimes you look at them cross eyed at how they ask the questions or what kind of questions they ask. And so I know that you use some standardized instruments in your study when you’re asking families questions about practices that occur in the family. And for example, you talked about how often arguments take place in front of the child and the parents had to answer on a scale of never to very often. And you know, we just talked about how there’s a whole lot more that goes into arguments than just never to very often. Jen: 32:38 And a couple of the other measures were how often the parents praise the children, which I never do. But we talked a lot about praise on the show and we did a whole episode on that and also how frequently parents teach their children letter sounds. And my answer would have been whenever she asks. And so I understand that it’s important to use these statistically normed measures as a kind of insurance that you’re measuring what you think you’re measuring. But how do you account for… Is it just me being a weird parent and I was skew your results? Or are there enough parents who do things that aren’t like the things described in these measures that it really throws it off. Dr. Froyen: 33:21 So when I designed the study, I was not a parent yet. And as I went back and looked at it after having children I’m like, no, I wouldn’t do these things! And I started to understand those of noxious parents who do these studies and then leave questions blank a little bit more because they definitely do. They’re like, I don’t like that question. I’m not going to answer it so we can account for those things statistically. But when it comes to like to accounting for these kinds of relationships or these kinds of families that don’t work in the same way that these normed measures do the really honest answers that you can’t. And I know this is a topic that you probably are okay with me talking about, but the fact is that most studies are designed to study the average parent in the majority culture. So if we’re being perfectly honest, we’re often talking about white, heterosexual middle class families. Jen: 34:19 Oh yeah; we talk about that all the time. Dr. Froyen: 34:20 Right Yeah. And so to be even more honest, we’re often, we’re talking about just moms. So many studies, even if they’re done on diverse populations, the measures themselves were designed for the majority or dominant culture and they’re very biased in that way, so it’s, it’s simply a limitation of some of the ways that we have to do this research and by have to, I mean we’re getting into one of the reasons why academia no longer felt like a good fit for me because the the publish or perish kind of thing. You to be a successful professor, to keep your job, you need to be publishing and in order to publish, you need to have publishable research and journals don’t want to publish your work. If you’re using a measure or just asking kind of random questions, they want a standardized measure that been used in other papers and so you’re limited sometimes in the questions you can ask or the data you can collect simply by the fact that you want to keep your job. So I don’t… Yeah, it’s hard. It’s hard to ask all the questions you want to and maybe you can once you’ve gotten to be a full professor and then you’ve got tenure and you don’t have to worry about committees critiquing your work and you can kind of do what you want. Jen: 35:39 Ask the questions that you knew you should’ve been asking all along! Jen: 35:44 Yeah. Wow. That’s. I think that’s a really profound insight for our listeners. We talk about these studies all the time and when I can I call out the methodological limitations like, we know that this is valid for middle class white people and I’m sorry if that doesn’t describe your family, but we don’t have research on your family right now. Or even the questions that they ask is a measure of whatever it is they’re trying to measure might not measure things in the way that you would answer them if you were taking the instrument yourself. So, so listeners just tuck that away in the back of your mind and when we go into these studies. I do do the best that I can to call those things out that seem especially pertinent, but it just always be aware that there are these things in, in scientific studies that impact the way the results come out and just because you see a 50 percent improvement in variable X, it doesn’t necessarily tell the whole story. Jen: 36:41 Yeah, there’s usually a nice paragraph at the end that list them all doesn’t it? And sometimes it does list the volume, sometimes it misses one or two and it really makes the, uh, the clickbait headline does it. Jen: 36:53 So. Okay. Uh, so you, you mentioned something about, you just briefly mentioned that even when you do get a diverse audience, you’re almost always looking at the mothers and I think there’s a unique relationship between fathers and early literacy skills. Can you tell us about that? Dr. Froyen: 37:09 Yeah, so I was very adamant when I was designing my study that I wanted to include fathers and I went out and got extra funding to be able to do that because they are so under represented in our research and lots of… In the child development field or in the clinical, you know, in clinical practice, we are designing interventions that are based almost entirely on the mother’s perspective and experience. And so I felt very strongly that we needed to have Dads. Jen: 37:41 Oh! I thought the mother’s experience was the only one that counted. Dr. Froyen: 37:46 Yeah, so in one of my studies, I found that fathers’ own perceptions of their marital relationship uniquely contributed to the emotional environment of the family, which also uniquely contributed to parent child interactions within the context of the home living environments, kind of above and beyond that of mothers. And so this finding suggests that while the marital relationship is important for the family emotional environment for both mothers and fathers, the process of that is unique for fathers. And then kind of harping on this point, again, this indicates that theory and interventions based on a body of research that’s almost entirely driven by data for mothers may not actually be relevant for fathers because things just seem to work differently for Dads. And then in one of my other study is where I looked at parents depression and I guess we can maybe, I don’t know if we’re going to get a chance to talk to this about this later. Dr. Froyen: 38:42 But similarly, fathers’ depression worked differently in the family and its effect on children was actually through mothers’ home learning environment. So the way that it turned out was that when fathers are more depressed, they engage in fewer home learning activities, but when they’re depressed, Moms also engage in fewer home learning activities. And so the kind of the theory on that is that the father’s so depressed; the literature suggests that they have kind of a more, a greater ability to withdraw from parenting than mothers do just simply from social pressure. You know, the social kind of socialized way that we think about mothers and fathers in the family. And that puts more burden on mom and so mom so kind of has to prune away the nonessential parenting things and so because she’s just more stressed, has more on her plate and so she’s not able to do as many of the kind of the extras. Jen: 39:36 Yeah. She gets the food on the table but it doesn’t necessarily have time to read stories at night, that kind of thing? Dr. Froyen: 39:40 Yes, exactly. And then there’s also, there’s some literature to suggest that father’s parenting is more susceptible to influence from other family systems and that fathers are more likely to allow affects from one family context to spill over into other contexts. Jen: 39:57 What do you mean by that? What other family context? Dr. Froyen: 40:14 Yes, exactly. Whereas fathers are less able to do that, so yeah. Jen: 40:21 Okay. And is the literature on how depression impacts a child’s development conclusive or do different people have different ideas of how the impacts work? Jen: 41:40 It freaks them out, right? Dr. Froyen: 41:41 Yeah, totally freaks them out. They become completely dysregulated and you can see them engaging in self-regulation activities like looking away, averting their gaze, sucking or crying and it’s very distressing to them. Jen: 41:55 And when you say flact affect you basically mean like stone face; not making any expression. Dr. Froyen: 42:00 Right, no expression. Yes. Yes. And so in flat affect is a part of, is one of the symptoms that is commonly displayed in depression. So yeah, Gosh, I feel like we just painted a really negative picture. Jen: 42:14 Yeah. Well luckily I was prepared for this. So yeah, we, you and I were emailing about this before the show, and you mentioned the deficit model of parenting and so I looked around a bit on that and it Kinda seems like it’s the idea that the “ideal family,” is one mother and one father and one or maybe more children. It probably just one in my case. And when we’re talking about ideal families in the dominant culture, they’re probably white. I suppose it’s possible that they’re not. And and my listeners know, I say that facetiously and they’re all of sound mental health and they all get on pretty well and kind of any departure from that ideal model is pictured in some way as being harmful to the child – is that about right? And what do you think of that model? Dr. Froyen: 42:58 Yeah, so the phrase deficit model is used in a lot of different contexts in child development, but often when, how kind of I was using it is the idea that researchers often focus on risk factors or what a family or couple or child is lacking rather than approaching things from a strength based perspective. So we often, when we see low income children or children from minority groups, we often spend our time talking about what they are missing or what their parents aren’t doing or what we need to tell them to do more of rather than looking for what they are doing, what are the unique things or strengths, but these families give to their children that maybe our measures which were developed again for white privileged individuals. What are our measures missing? So the first paper I ever published looked at family involvement in Head Start families and we found that contrary to the common narrative around these families is that they actually are quite involved. They’re involved in various ways both at home, at school and in their community. It’s just that this involvement looks a little bit different than it does for families who are not facing the same stressors that these families are. And they had unique barriers to involvement that other families don’t have. So coming from this place of what is this person missing limits us versus what are some of the unique strengths that these families have? Jen: 44:24 Yeah. I’ve been reading a lot about that. Maybe I’m actually developing a course to help parents support their children who were learning in a based environment because I’ve done a lot of research on homeschooling and one of the things I found in looking at schools is that the teachers see middle class white parents’ interactions with the school is kind of the ideal model of school interactions. And so any minority family who isn’t volunteering in class on a weekly basis and showing up to parent teacher things in the middle of the day, they have to be at work and can’t get out. It’s sort of seen as a while they’re unresponsive and they don’t care about their child’s education when actually they do very much care about their child’s education and they do things to support that education that aren’t captured in the traditional ways of studying that engagement. Dr. Froyen: 45:11 Yes, yes. Amen! Jen: 45:15 Yeah. So it’s again, it’s sort of a caveat emptor, isn’t it? It’s, yes, these studies do tell us something useful, particularly if you’re a middle class white person, but that there can be a whole variety of other impacts on a family that aren’t captured by the studies that we look at. Dr. Froyen: 45:36 Right. Yes. And even for it to be completely honest, I went through a serious, a series of depressions after both of my kids. I had two traumatic births. I had a very significant trauma during my pregnancy with my second and I had PTSD symptoms and I knew all of this research, you know, I knew what my depression that had the potential to do to my kids and I think it’s really easy for parents to sink into this place of guilt and self-blame and they hear research like this and what I really want with in my work with parents, I really want to encourage parents to take this research and simply view it as new information that they can use to make parenting and relationship decisions without judgment or guilt. So I really want to help parents moved from a place of great, I have postpartum depression and an unhappy relationship, but now I’m going to ruin my child to write to a place of, okay, so postpartum depression is real for me right now. Jen: 47:11 And perhaps also focusing on what are the unique strengths that our family has as well. And how they contribute to raising our children. Dr. Froyen: 47:18 Yes. Yeah, yeah. Jen: 47:21 We’re not just about deficits and arguing and yelling. Yeah, we’re, we’re definitely trying to empower parents to take this information and use it to guide their decisions in a way that results in a, in a more positive environment for their child. But yeah, without that judgment and without the, if I don’t do this, I’m going to screw up my child. Dr. Froyen: 47:43 Yeah. Yeah. And the, I don’t know; the deterministic piece of this too, so this research can make it feel like. So if I have depression, like it’s, this is the end result for my kid. And then to not like that. These are averages across large studies, large numbers of people and your specific cases unique to you and the things that are happening for you don’t necessarily have to mean a certain outcome for your child. Jen: 48:09 Yeah. And that just because on average 49 percent of kids end up having this reaction with a depressed parent does not mean that your child is going to. Dr. Froyen: 48:16 Right. Yeah, exactly. Jen: 48:18 Yeah, yeah, yeah. Okay. Super. Well, thank you so much for helping us to understand more about how our families work and how that impacts our children. Dr. Froyen: 48:26 Yeah, no, I was so glad to. I love your podcast and I’m so happy to be on it. Jen: 48:32 Well, thank you. So if you’re interested in learning more about Laura’s work, you can find her on a website at LauraFroyen.com. And as a reminder, all the references that I’ve read in preparation for the show as well as everything that Laura has mentioned during the show that we were not fully prepared for, she’s going to send to me and they will also be found at yourparentingmojo.com/parenting. I believe Laura mentioned a book called “Bringing Home Baby,” but I can’t seem to find the book anywhere. It’s a book about how the marital relationship changes after having a child. Can you provide the a link to the book please? Hi Megan – thanks for your note. I emailed Laura about this and she said the book was based on the Bringing Baby Home training, but the book is actually called And Baby Makes Three. You can find it on Amazon at https://www.amazon.com/Baby-Makes-Three-Preserving-Rekindling/dp/140009738X Good luck!